On April 16, 1972, a gigantic Saturn V rocket lifted off from Kennedy Space Center’s Launch Complex 39A in Florida, and boosted the Apollo 16 spacecraft onto the United States’ fifth Moon landing. It was the second “J” mission, carrying extra oxygen as well as battery power, a Scientific Instrument Module (SIM) for the Command and Service Module (CSM), and the Lunar Roving Vehicle (LRV) so that astronauts could travel much further from their Lunar Module (LM) than on prior Moon landing missions. Apollo 16’s destination was the Descartes Highlands, and its objective was to retrieve volcanic rocks to confirm the theory that the central lunar highlands had been formed by volcanism. Although the Apollo Program had faded from the news headlines and the public had turned to other priorities, Apollo 16 was a mission fraught with surprises—but forgotten by the press. 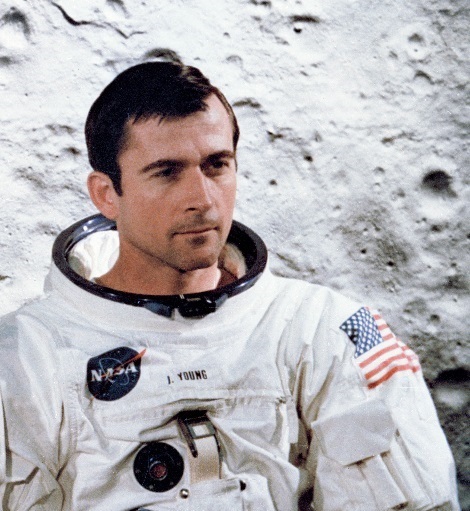 For veteran astronaut John Young, Apollo 16 was just one of many space adventures. At age 42, he had already flown the first manned Gemini flight, Gemini 3, with Gus Grissom (who later perished in the tragic Apollo One fire), commanded Gemini 10 with Michael Collins (who was later the Command Module Pilot [CMP] on the historic Apollo 11 Moon landing mission), and served as CMP on Apollo 10, the “dress rehearsal” for Apollo 11. 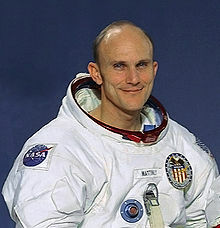 After Apollo 16, Young would command the first Space Shuttle mission, STS-1, and the first Spacelab flight on STS-9. 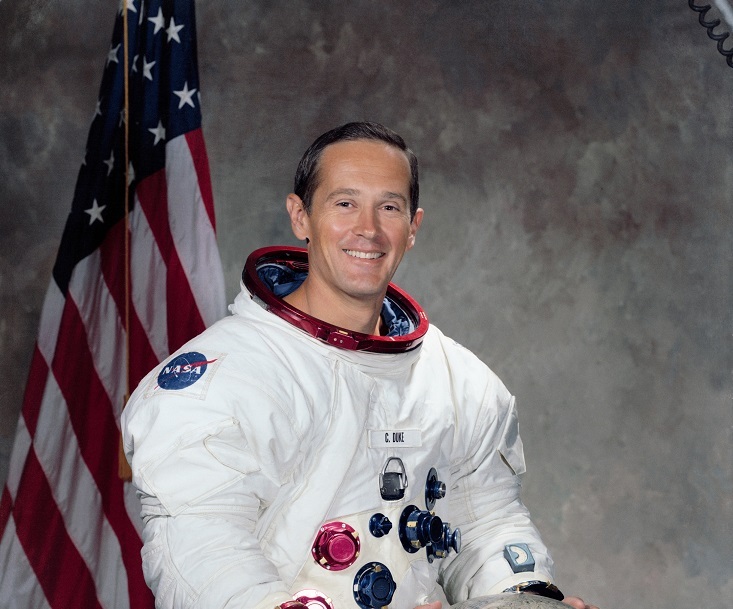 Apollo 16 was Command Module Pilot Thomas “Ken” Mattingly’s first space mission, although he had previously been assigned to Apollo 13. Shortly before that ill-fated mission, Mattingly had been exposed to German measles and switched places with Apollo 16’s prime CMP, Jack Swigert. Mattingly later commanded STS-4, the final test flight of the Shuttle, with Hank Hartsfield, and STS-51C, the first Department of Defense mission. Apollo 16’s CSM was named Casper. The LM was called Orion. On April 20, 1972, Orion undocked from Casper to begin its powered descent toward the Moon—but things did not go as planned. Mattingly’s first task after separation was to fire the Service Propulsion System (SPS) engine to circularize the CSM’s orbit about the Moon. But no sooner had Orion separated than Mattingly reported yaw oscillations in the SPS engine. Mission Control delayed the circularization burn to study whether the oscillations would affect the engine’s performance. Young and Duke were told to rendezvous with Casper—and to be prepared for a mission abort. 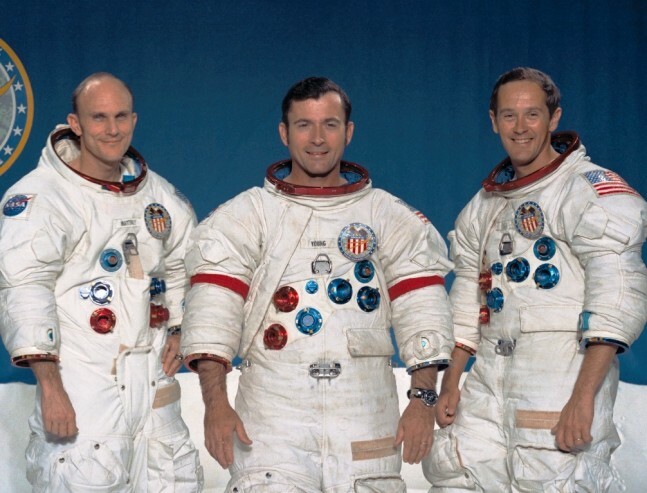 The three Apollo 16 astronauts waited for five hours for word on whether their lunar adventure was canceled. Fortunately, engineers decided the oscillations would not affect the SPS engine’s steering, and Young and Duke were given the go-ahead for landing. Orion touched down at 9:24 p.m. EST about 905 feet (276 meters) northwest of the planned landing site. 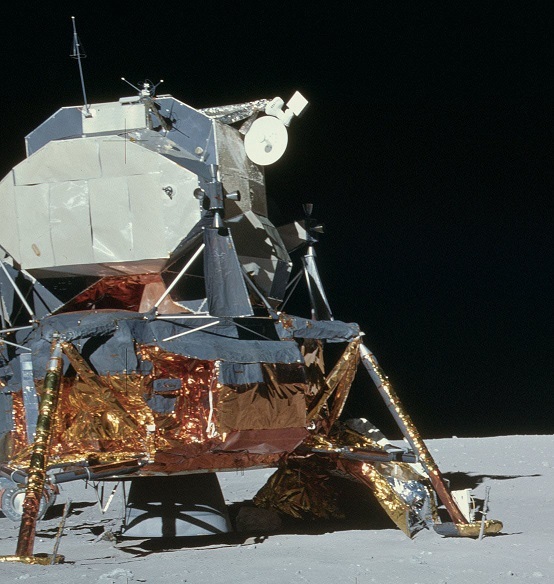 Their first tasks were to assemble the LRV, hook up the television camera to the LRV’s high-gain antenna—which would relay not only the television image, but their voice—and deploy the Apollo Lunar Surface Experiments Package (ALSEP), which included the two seismic experiments, one passive and the other active; lunar tri-axis magnetometer; low, medium, and high-energy solar wind; suprathermal ion detection; and the Heat Flow Experiment (HFE). When walking on the Moon in 300-pound space suits, an astronaut leans forward so that he can’t see his legs. Duke had successfully deployed one of the probes for the heat flow experiment when Young, unable to see his legs, walked through the cable connecting the HFE to the Central Station, ripping it loose. With an almost six-hour delay in the landing and the total loss of the Heat Flow Experiment, Apollo 16 was a mission with its ups and downs. However, Young and Duke continued their work and, in time, regained their spirits. Like Apollo 15 before it and Apollo 17 later, the television camera was able to follow every detail of the lunar surface activities. By being hooked up to the high-gain antenna, the camera not only transmitted its sound and images to Mission Control, but was, in turn, remotely controlled by Mission Control. Flight Controller Ed Fendell was able to pan the camera back and forth and up and down, zoom in, and even adjust the lighting. As a result, Apollos 15, 16, and 17 were filmed in unprecedented detail—a far cry from the fuzzy, ghostly, black-and-white images from Apollo 11 that enthralled the world. John Young drove the lunar rover to each of the remote sites, called stations, that he and Duke were to explore during their three days on the Moon. During the first EVA, they went to Flag Crater and Spook Crater. During the second EVA, they went to five stations near Wreck Crater. On the third EVA, they went to North Ray Crater. Although they were sent to locate volcanic rock, virtually all the rocks they found were breccias—rocks composed of broken fragments fused together by a fine-grained matrix. 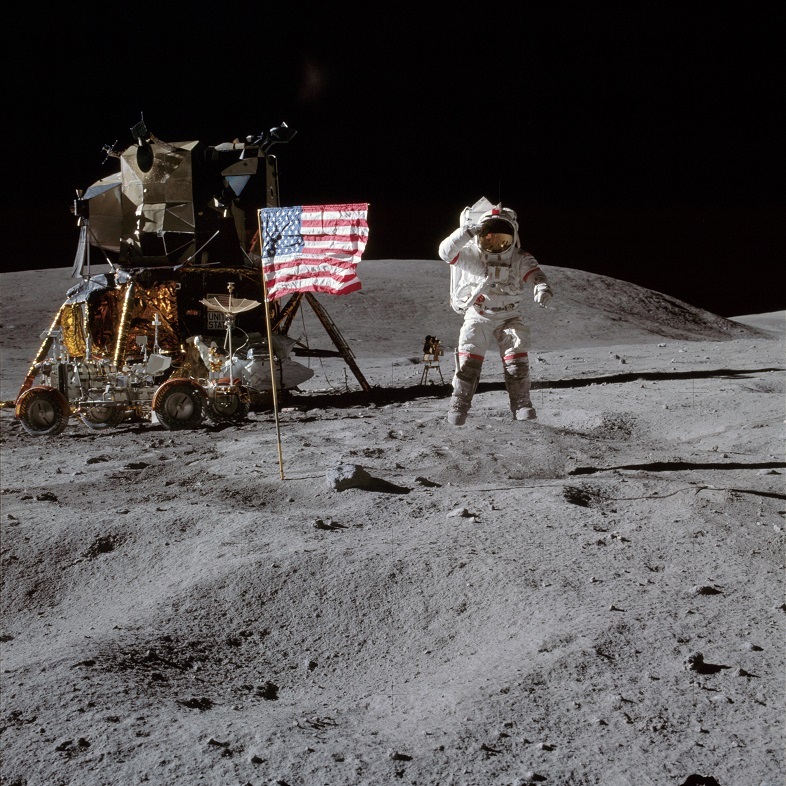 One of Young’s tasks was to retrieve a sample without kicking up dust so that undisturbed soil samples could be collected and rocks photographed without dust being kicked onto them. Young and Duke referred to this as “sneaking up” on a rock. According to Duke, Young was hilarious as he “snuck up” on a rock at Station 9. Unfortunately, Fendell wasn’t sure which direction Young and Duke had gone, so the camera was pointed at the rover’s seats during the event. “What are y’all doing looking at the seats?” Duke cried. At the end of EVA 1, at the ALSEP site, Duke used his 16mm Maurer camera to film Young driving the LRV in the lunar Grand Prix, which demonstrated the rooster tails produced by the loose dust when the rover was moving at top speed. Another memorable moment occurred during EVA 3, when Young and Duke went to investigate a huge rock, later dubbed House Rock, the size of a four-story house. With no atmosphere and nothing to provide scale, distances can be deceiving on the Moon. Laughter filled Mission Control as Young and Duke continued to lope toward the rock which was clearly much larger than it appeared. “Look at the size of that rock!”, Duke exclaimed. “The closer I get to it the bigger it is!” On the big screen in Mission Control, the little white dots of Young and Duke got smaller and smaller, dwarfed by the immensity of the rock. In the back room, a geologist remarked, “As our crew slowly disappears into the sunset…” bringing about a cacophony of laughter. At the end of EVA 3, Young and Duke had planned a lunar Olympics. Following in the footsteps of Alan Shepard’s golf swing and Dave Scott’s hammer and feather experiment, they would see how high they could jump on the Moon. Young’s jump went smoothly, but when Duke jumped, he lost his balance and fell backwards—running a grave risk of puncturing his space suit. Suddenly it was over. After three days of lunar exploration, it was time to pack up and go home. Young and Duke packed up their lunar rocks, blasted off from the surface of the Moon, and rendezvoused with Casper. During the trip home, Mattingly performed an EVA to retrieve the SIM package. During that EVA, Duke noticed Mattingly’s wedding ring, which had been lost earlier in the mission, slowly drifting toward the hatch. He reached out to grab it, but missed. The ring tumbled out the hatch, bounced off the back of Mattingly’s head, and floated back into the spacecraft, where Duke was able to grab it. Apollo 16 splashed down in the South Pacific Ocean on April 27, 1972, and was retrieved by the aircraft carrier Ticonderoga. In a mission filled with strange twists and turns, high adventure, disappointments, danger, and mind-blowing discoveries, perhaps the most significant is that scientists had to re-examine their model of lunar formation. After climbing down the LM ladder onto the surface of the Moon, Young’s first words on the lunar surface were, “There you are, our mysterious and unknown Descartes Highland Plains. Apollo 16 is gonna change your image.” Young could hardly have imagined how right he was. Contrary to previous theory, the lunar highlands were discovered to be formed not by volcanism, but by meteoric impact. Not a single volcanic rock had been discovered. In popular culture, everyone remembers Apollo 11; its story has been told and retold so many times that it’s taking on the characteristics of folklore. And everyone knows the story of Apollo 13 since a highly successful Hollywood blockbuster starring Tom Hanks dramatically—and accurately—told its story. 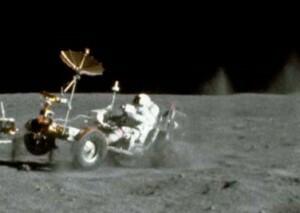 But it’s the largely forgotten saga of Apollo 16 that permanently changed our understanding of the nature of the Moon.